Australia - VICTORIA’S rabbis are considering a veto against marrying couples who do not sign a prenuptial agreement. While traditional prenuptial agreements provide for a division of assets or financial support in the case of divorce, the agreement proposed by the Rabbinical Council of Victoria (RCV) and the Melbourne Beth Din will ensure that husbands, in particular, are compelled to give their wives a gett (Jewish divorce) should the marriage fail. In the Jewish year 5766-5767, 39 Melbourne couples approached the beth din for a gett. This year, the number has risen to 52, which is a worrying statistic for the rabbinic community. Sydney’s Rabbi Jeremy Lawrence added it was “upsetting” that the Sydney Beth Din deals with an average of one gett each week. While most Victorian Jewish marriages end without excessive trauma, there are still a number of agunot -– women whose husbands refuse them a gett and who, therefore, cannot remarry. The situation is similar in NSW, where Rabbi Lawrence said they are considering two options -– prenuptials or a post-marriage settlement that encourages the husband to come to the beth din to deal with messy Jewish divorces. 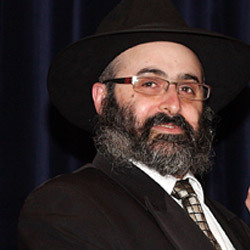 Rabbi Meir Shlomo Kluwgant, president of the RCV, said in an effort to overcome the problem, he had enlisted retired Family Court judge Justice Joseph Kaye and family lawyer Andrew Strum to discuss the feasibility of a program and to help draft a document, which will need to be tested from a civil and religious perspective. “Halachically and legally, there is room for this,” Rabbi Kluwgant said. The rabbi said he understands that young couples about to embark on a married life will hesitate to sign a prenuptial agreement. Rabbi Lawrence shared the concern about prenuptials arrangements, but said he still supported the idea. “A lot of couples are reluctant to contemplate the concept that they will fall out of love,” he said. He added that the idea of encouraging husbands to go to the beth din as part of the divorce settlement would also help prevent agunot. This is not only a great idea, it is an action!! Now, I hope this catches on EVERYWHERE!!!! We all know how th3se guys think, they want money. Here is the typical scenario..."If I can't have her, no one will. First I'll get her back and then I'll pay her back for daring to reject ME! ME ME ME, I I I ." Enough of these sore-loser, bitter, angry, stubborn and can't-handle-losing guys showing off their "power"...good bye! Finally, now they will have to act like a man and be a man. Hey today the husband can have a wife. She has and raises his kids. Of course takes all his mishakas for years. Then he can pick himself up leave her with nothing. Then marry another women, perhaps a single pretty women who will enjoy his money. Nice story right? He could say he does not have to give the first wife a dime. Only a get. I have no need for you anymore. I think if they will have this paper, maybe the first wife will have some compensation for all that she did for him all the years they were together. Hey it cuts both ways. There are Men and Women who abuse the bais din or the courts - and play one against the other. A pre-nuptual agreement puts it all on the table in the beginning - and the civil court can force the man to give and woman to accept a gett at the end. A ketubah IS a pre-nuptual agreement that is not recognized by civil courts; so why not make a version that is accepted by civil courts? Hopefully there are no divorces and if one must occur it should be handled amicably in a bais din - and if that breaks down the pre-nup does the job. this is an excellent idea. and the fact that they want to insist that couples sign leaves no room for hurt feelings. the chosson can't say, "what, you don't trust me?" because it will become an automatic requirement for marriage. this will be a great step in minimizing the tragic aguna problem we are faced with. i think this pre-nup should be mandated everywhere. Anon 4:54, why do you automatically take the wife's side, in all cases, including hypothetical ones that haven't happened yet? Do you think most divorces are the husband's fault? Why do you think that? Any prenup that guarantees a get must also guarantee that the entire settlement will be decided in beis din, and the wife will not first go to beis din just for the get, and then go to court for the money and the custody. This is false: "U.S., the secular courts are baised in favor of the women"
First, it is spelled biased. But no. They are biased in favor of the attorneys they like. But the agunah problem - the rabbis also are to blame. They refuse to take actions available. In Massachusetts the Beis Din has a reputation for refusing to order the Get, while the "husband" does damage.